If you ask me, I will say UMIDIGI S2 Lite is an affordable smartphone judging from the specifications and features. The device packs a 6 inches FullView display with 18:9 aspect ratio plus Corning Gorilla Glass which give it extra layer of protection. The body design is with a full metal unibody, there is a fingerprint scanner, Face ID, dual rear camera, a massive battery and quick charging. That's a very standard specs for a N63K phone. Powering the phone is an Octa-core Mediatek processor while the RAM size is 4GB RAM. The inbuilt storage capacity is 32GB. You can also expand it up to 256GB card. Though the phone comes with Android 7 Nougat but UMIDIGI hinted that it will get updated to 8.1 Oreo soon. The S2 Lite is announced and will be officially available in the market in February 2018. The price is pitched at around $169 (about N63,000). Well, here are the key specs of UMIDIGI S2 Lite; Android 7 Nougat	, 6 inches FullView screen,	Mediatek MTK6750T, 4GB RAM, 5100mAh battery, QuickCharge, 16MP +5MP camera. 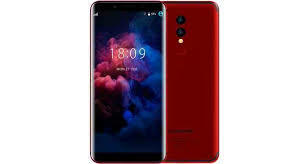 The device is updated to some extent, but they should look into the common feature of the 5mp front camera, is getting obsolete to me, 8mp, 12mp and above is what should be considered now.